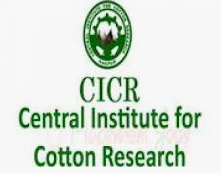 The Regional Station of ICAR- Central Institute for Cotton Research (ICAR-CICR) in Sirsa, Haryana, invites eligible candidates to appear for a Walk-in-interview for the position of Senior Research Fellow (SRF) and Young Professionals. The recruitment of these positions is temporary (contractual). Masters Degree in any discipline of Agriculture. Experience in relevant subject and Computer knowledge is desirable. Scheme valid up to March 31, 2020. Graduate in any field of Life Science preferably in Agriculture. Experience and Computer knowledge is desirable. Upper Age Limit: 21-45 years for Young Professionals as on the date of interview. The walk-in interviews for all the above-mentioned positions will be conducted on April 24 at 10 am.